Learn how your small business can collect payment through your website or e-commerce store. For a long time, PayPal was pretty much synonymous with funds transfers via the internet, but today, there are many options from which you can choose if you engage in e-commerce. 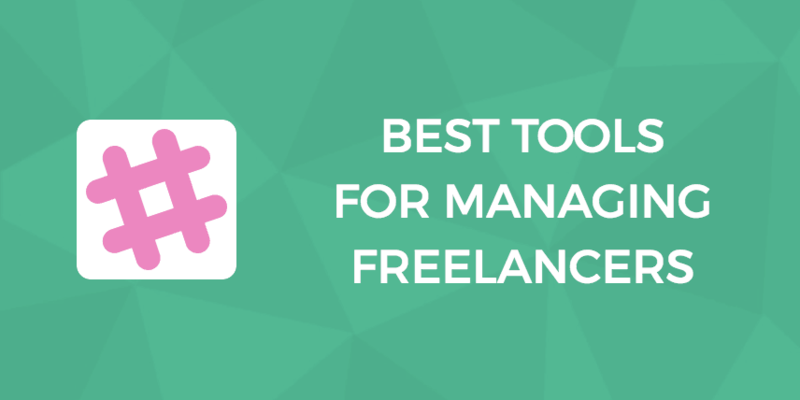 Many of these options include bonus features, such as fraud detection and protection, office tools such as analytics and reporting, and other items that help manage the monetary aspect of your business much easier. 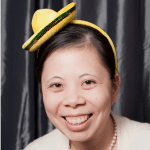 Furthermore, as e-commerce goes global, some include the tools you need to sell to a global audience. In this article, we will cover several options you might consider as you decide on the payment processing tool that best fits your needs. 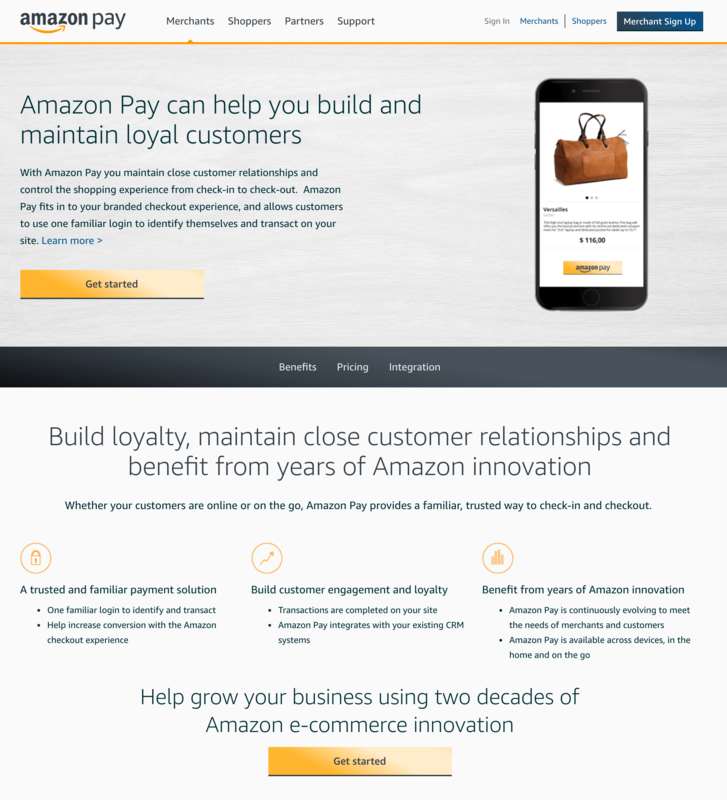 Amazon Pay is a drop-in payment solution that allows you to Amazon as your payment gateway and processor. While the use of Amazon Payments requires the use of an e-commerce platform that Amazon partners with, there are many options from which you can choose (their premier partners are currently PrestaShop, Shopify, OpenCart, and BigCommerce). Then, all you have to do is activate the free plug-in. Amazon Payments, in addition to providing your customers with the reassurance that they’re paying with a processor that has a good reputation, offers your customers the ability to use their Amazon credentials to checkout (which is a familiar experience since the flow is similar to the one used for Amazon.com). It also allows you to offer your customers extensive consumer protections; all purchases are covered by the Amazon A-to-z Guarantee that normally comes with purchases on Amazon.com. On your end, you get fraud detection services and prevention technology. BrainTree is a subsidiary of PayPal that acts as an all-in-one payments partner. Instead of handling just the movement of funds, BrainTree offers what it considers white glove service, including fraud detection and protection, data security, reports and analytics (including an easy-to-use dashboard that allows you to manage every transaction and enable email recipes), and easy integration with third party services like 3DCart, BigCommerce, WooCommerce, and Yodle. 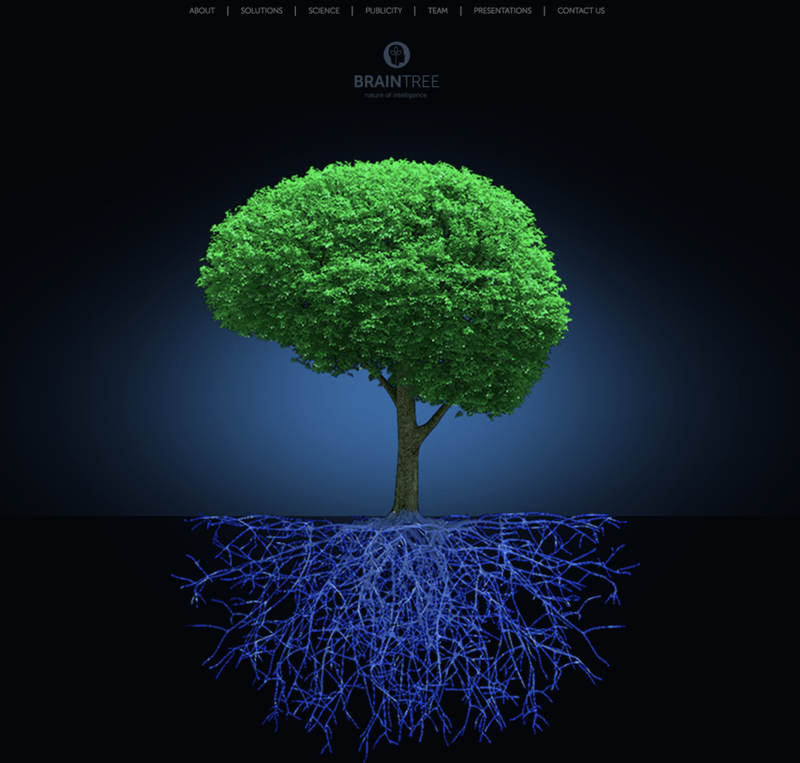 Integrating Braintree with your site can be as easy or as complicated as you’d like. There’s a predesigned, drop-in UI, or you can customize the checkout flow using the Custom UI and its hosted fields, which are secure frames by which your customers can enter sensitive information. Braintree Direct: the end-to-end payment solution for those that need to handle credit card, debit card, and PayPal payments for sales to customers via web, mobile, or native apps. This product is available to a global audience. Braintree Auth: appropriate for those who provide services and need a method for their customers to pay for them. This product is available to US businesses. In addition to PayPal and credit and debit cards, Braintree offers you the ability to accept payments via Venmo, Apple and Android Pay, Visa Checkout, Masterpass, and Amex Express Checkout. 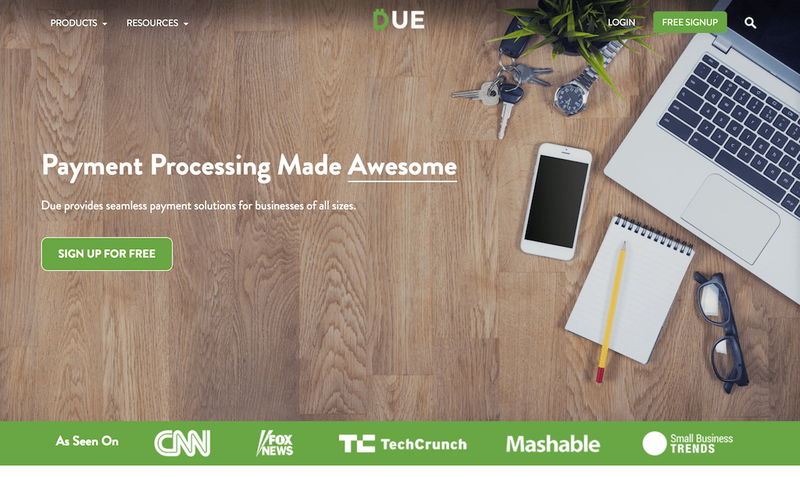 Due provides highly secure credit and debit card processing, time tracking, and invoicing solutions at a low cost. Though Due offers Enterprise and Custom Payment Solutions, its Standard Plan would be a great fit for a small business. It works regardless of whether you sell physical products/downloads or offer billable services. The Standard Plan comes with reports and analytics, fraud protection and live account monitoring, and protection against chargebacks (useful if the payee decides to reverse the charge with their credit card company). More specifically, you’ll be able to do things like handle debit and credit card payments, track your hours (if you’re billing based on time), and invoice clients — there’s also lots of built-in automation so that you don’t have to manually manage every aspect of your payments process. In the near future, Due plans to add support for global payments, eCash, and digital wallets. 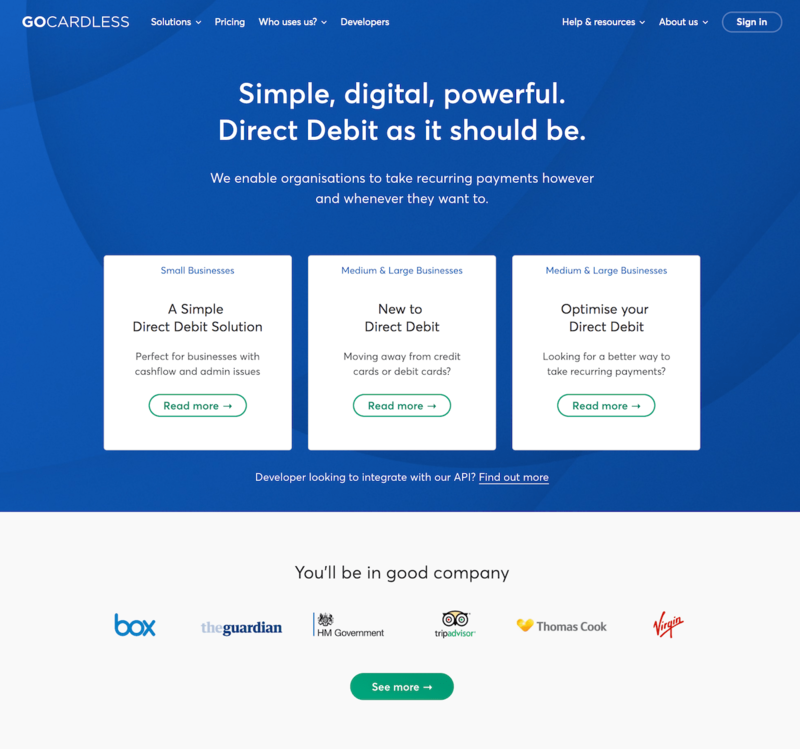 GoCardless is a tool for UK businesses that need a simple option to make direct debits for recurring payments (such as subscriptions). Rather than handling credit or debit card payments, you request permission to withdraw the appropriate amount from the customer’s bank account. Taking payments on account for those with which you have an ongoing relationship. GoCardless features a simple online management and automated payment collection system that you can get set up within just minutes. If you have an existing system, you can easily import your data into GoCardless. Furthermore, GoCardless is less expensive than a lot of other payment methods, and its ability to be automated, both from your end and the customer’s end, means that you have to do less work in managing your payments. PayPal is one of the most popular payment processors around, and it’s practically synonymous with “sending money to someone else over the internet.” However, PayPal isn’t just useful for individuals — its business division offers many tools you might find useful for collecting online payments. You can add PayPal features to your checkout, allowing you to receive funds via PayPal itself or your customers’ credit cards. 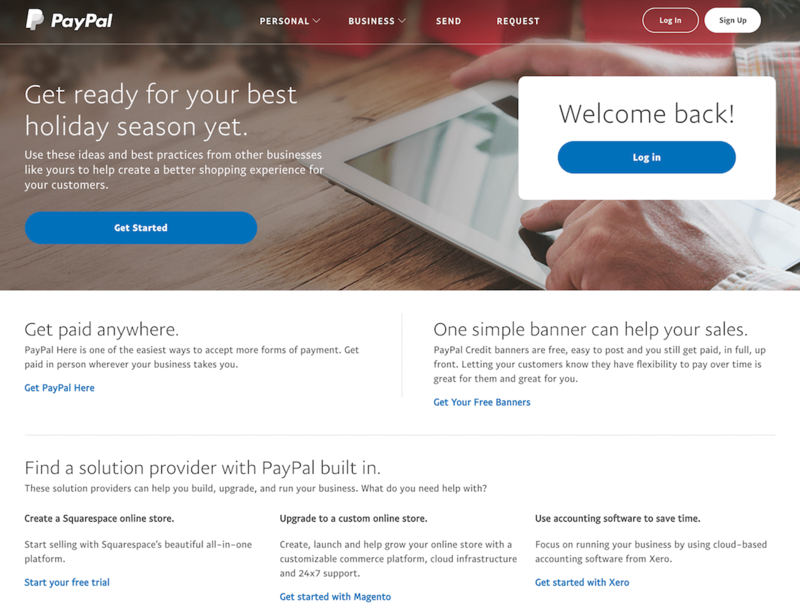 There are several ways by which you can integrate PayPal into your site. You can use PayPal Express Checkout, which is simply a button saying, “Check Out with PayPal” that lets your customers complete the checkout process via PayPal’s website. PayPal Payments Standard is another option, and it takes about 15 minutes to set up the “Buy Now” button your customers will use to check out. This option, unlike PayPal Express Checkout, allows your customers to pay via PayPal or their choice of credit card. Finally, there’s PayPal Payments Pro, which allows you to implement a custom checkout process using PayPal. This is an option if you already have an online store and you want something to blend in with your design. 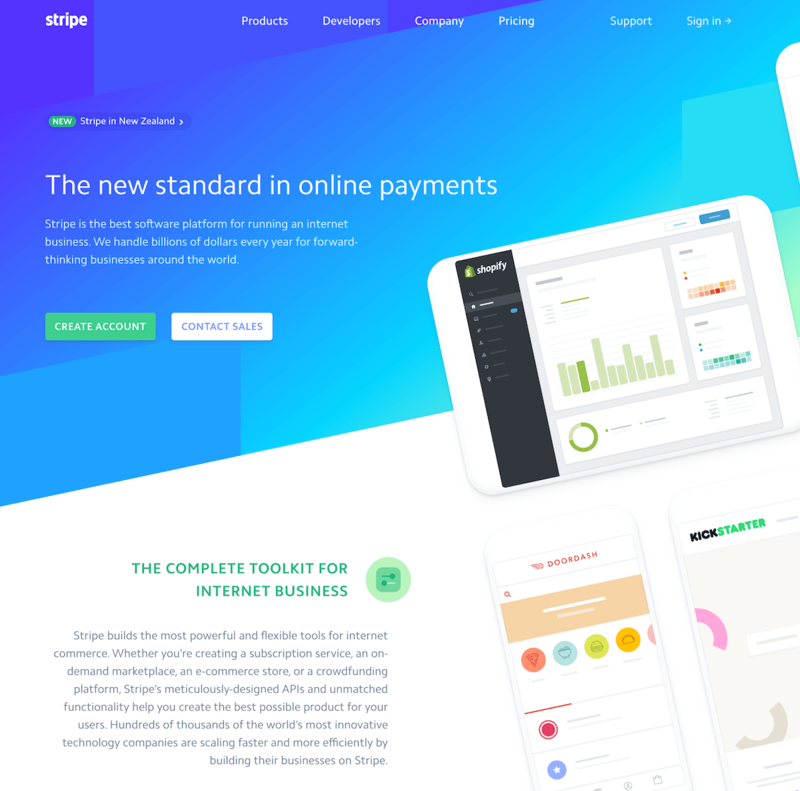 Stripe is an elegant, well-designed payment processor that offers several highly flexible options for your business. Its goal is to handle all of the technical aspects of online payments, including infrastructure, fraud prevention and protection, and banking integrations. While Stripe bills most of its products as options designed and built for developers, its Stripe Checkout option is easy enough to use that we think you can get up and running with very little trouble, even if you don’t have deep technical experience or knowledge. Stripe Checkout is a payment form that you can easily embed onto your site. It works with desktops, laptops, and smartphones. Stripe has translated Checkout into twelve different languages, and it can be used to accept credit cards, debit cards, and Bitcoin. Stripe is designed to be used as-is, but as always, you are welcome to customize any (or all) part of the payment process seen by your customers. Stripe is a global payments option that accepts over 100 different currencies, cryptocurrencies (such as Bitcoin), and local payment options (such as Alipay). 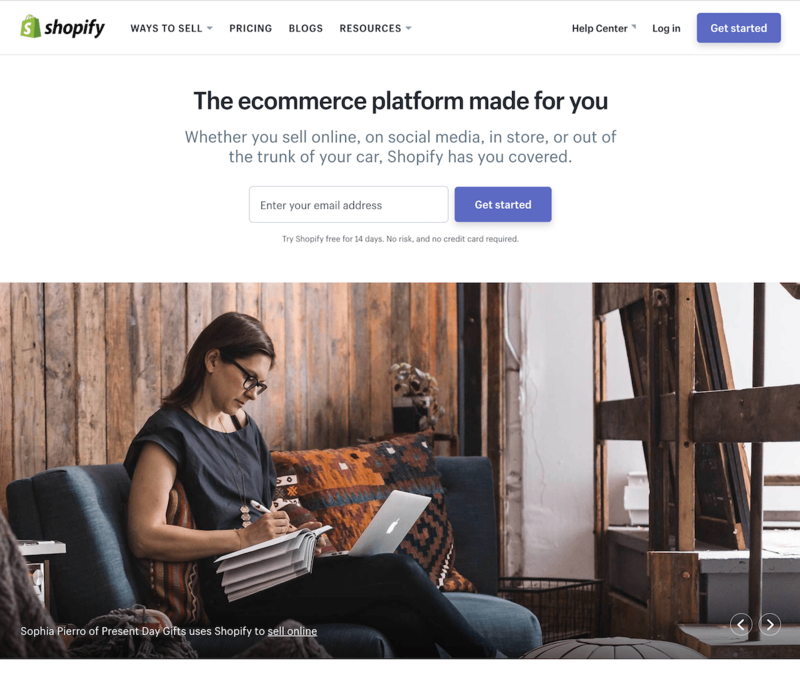 Shopify is an all-in-one e-commerce solution that has everything you need to get up and running with an online store. In addition to a store builder that lets you get up and running with a professional-looking storefront (even if you don’t have design experience or technical, site building knowledge), you get marketing tools, payments handling, a secure checkout process, and shipping integrations. Shopify Payments allows you to accept credit cards directly from your customers. You’ll also get the tools you need to track your balance and payments schedule, as well as the ability to log orders and payments. If your customers ever initiate a chargeback, you can respond with just one click, since Shopify generates an automatic (yet customized) chargeback response. The Shopify Buy Button allows you to embed a product card and checkout for one or more products or a shopping cart for a full mobile-friendly, secure shopping experience onto your website or blog. You can easily customize how these look, so the buying process doesn’t stand out from the rest of your site. Pinterest Buyable Pins allow people who see your items on Pinterest to buy them. The concept is simply — all products pinned from your Shopify store automatically become buyable pins. When the customer decides to make a purchase, they can checkout with a credit card or Apple Pay without leaving the Pinterest app. You’ll also be able to measure and track the number of Pins, repins, and orders using the Pinterest Channel Dashboard in your Shopify account. Similar to the Pinterest Buyable Pins, Facebook Store and Facebook Messenger products allow your clients to shop using Facebook’s social platform. 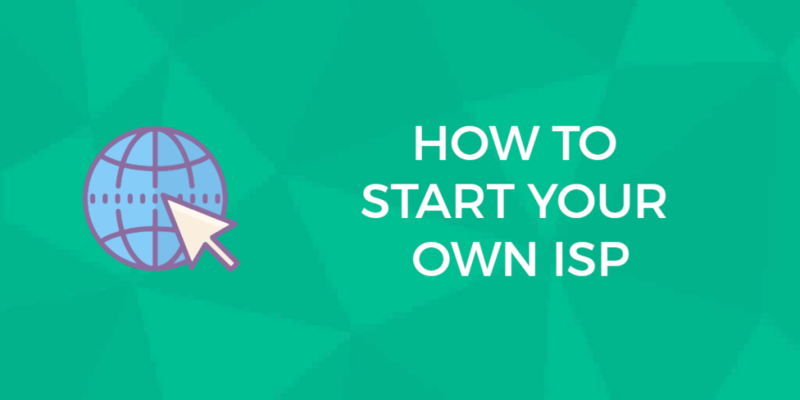 If you’re on Amazon, you can manage your products using Shopify’s platform. A cryptocurrency is a digital currency. Users can exchange funds into these currencies, and use their virtual wallets to pay for goods and services online. The most well-known cryptocurrency is bitcoin, and it’s the one your customers are going to be most interested in trying out. Generally speaking, cryptocurrencies like bitcoin are decentralized, unlike electronic money or centralized banking systems. One of the biggest perks with using cryptocurrencies is the ability for the purchaser to keep their transaction private, although transactions are not completely anonymous. Some users prefer to pay using cryptocurrencies to minimize the possibility of a privacy breach releasing their personal details to unauthorized parties. See lower transaction fees: because there’s no central committee or organization that controls bitcoin, you could spend less on fees compared to traditional payment methods. Get merchant protection: because bitcoins behaves like cash, you reduce the likelihood of fraudulent chargebacks or payment reversals. Easily reach an international audience: bitcoin’s decentralized nature and lack of centralized authority mean that you can easily accept payments from international customers without the hassle of international bank wires. However, accepting cryptocurrencies may increase the complexity of your payments process. If you’re using a payment processor, you may find that it doesn’t yet support bitcoin. And bitcoin payments can be slow to confirm on the blockchain; alternatives like litecoin or bitcoin cash are faster, but are not as widely supported by payment processors yet. If you want to try accepting cryptocurrencies, BitPay is a good place to start. 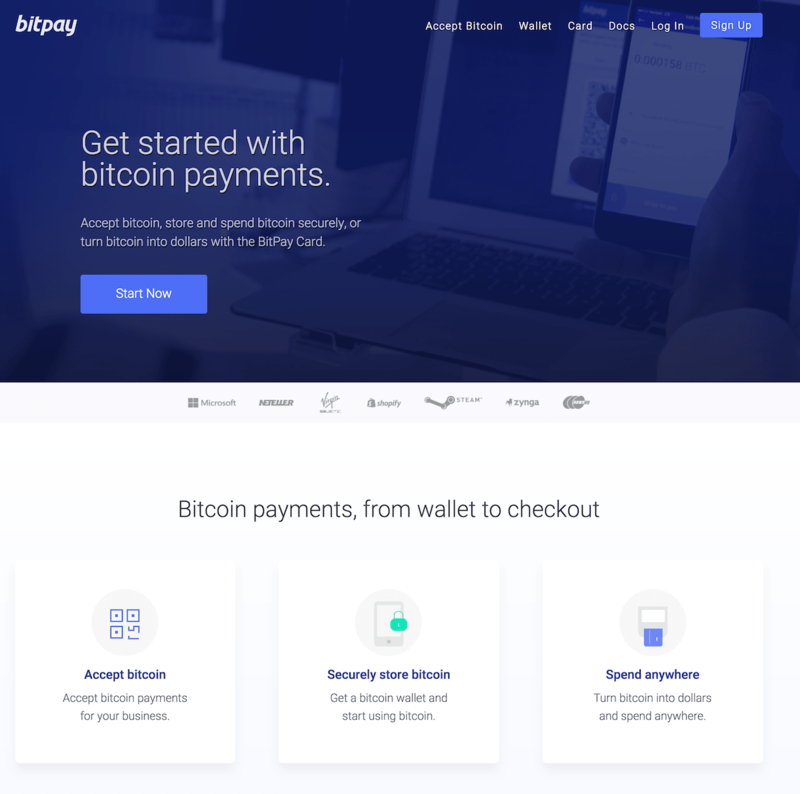 Processors like BitPay integrate with other e-commerce tools, such as Shopify, giving you a simple way to try out cryptocurrency payments. When collecting payments online, there are many options from which you can choose. Many, however, offer more than just payment processing, and such useful features, such as fraud detection and protection, reports and analytics, and so on, are certainly bonuses you should consider when making your decision. In this article, we presented some of the best options for collecting payments, and hopefully, there’s something that meets the needs of your business.